Plans for a massive expansion of a village on the outskirts of Inverness are back on the table after plans were lodged for up to 100 new homes. 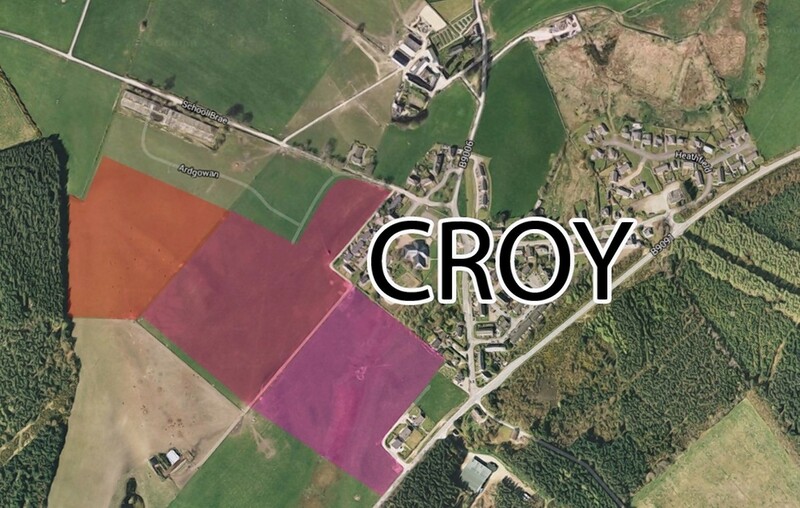 Scotia Homes has tabled early proposals for a site on the outskirts of Croy. Similar plans were the subject of a long-running consultation going back several years, which ultimately resulted in no planning application being lodged by Scotia. Last night Croy and Culloden Moor Community Council chairman Bruce Strachan said there had been “considerable opposition” to the previous proposal, and said that locals would be keen to see Scotia’s plans in full. The scheme lodged with Highland Council represents the initial stages of a screening application, which act as a precursor to a full masterplan for the site. As well as the 100 houses, the development would involve a mixed use element, including shops on land to the west of the village primary school. Concerns were raised in the initial round of consultation about the density of the homes, the ability of the rural roads around the village to cope with extra traffic and a potential increased flooding risk at Croy Burn. Last night community council chairman Bruce Strachan said that other considerations to be taken into account was the capacity of the village school and the start of work on nearby new town Tornagrain, which will eventually include 5,000 houses. He said: “The sheer size of it means that there will be interest. He added: “They never actually made a planning application the last time but there certainly issues with what they were suggesting. Local resident Cathy Stafford was involved in local scrutiny of the plans the first time it was proposed and looked over the early proposals made by Scotia last night. Aberdeenshire-based Scotia have already built a 40 house development in Croy named Ardgowan. The company was unavailable for comment last night.